2-Time Grey Cup champion Shea Emry is the featured guest on the latest edition of the Pedersen Recovery Rodcast. The Richmond, BC product spent eight seasons in the CFL with Montreal, Toronto and Saskatchewan and was named a CFL All Star in 2012. The linebacker also won the prestigious Jake Gaudaur Veterans Trophy in 2013, a distinction appointed to the individual who most exemplifies the values of Canada’s Veterans. The 31-year old is the founder and CEO of WellMen Project, a men's adventure club which aims to empower men to take initiative in their own mental wellness. While Shea has no history of substance abuse, he is an outspoken advocate for Mental Health and in this podcast Rod shares his own battles with Mental Illness along with Shea. 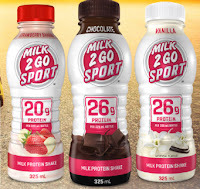 The Rodcast is sponsored by Saputo Dairy's Milk 2 Go Sport and CJ Evans Home Design. Oak Tree Place in Moose Jaw is holding a Fundraising Gala on Saturday, May 12/2018 to raise funds for the opening of the community centre. The keynote speakers for the night are the Voice of the Roughriders Rod Pedersen, and Billy Cuthbert. Both are Persons In Recovery and will share their stories on how they overcame Addiction and Mental Illness. Oak Tree Place is a non-profit organization where people can come together. It will be a place for people suffering with Addictions but also a place for community. It will also be a place to share, and break down the stigma and barriers of Addiction. -"How to get back into the Workforce"
-"Family Support - Mending Relationships"
Oak Tree Place will also be a place where we can refer people to clinical services, addictions counselors and many other services where people can share and not be judged. We want it to feel as safe as sitting under an Oak Tree! The Gala will be held at Zion United Church (423 Main St. N., Moose Jaw, SK). First Nations businessman Bill Adsit delivered a powerful presentation at Tuesday's Leader Impact Luncheon at the Doubletree by Hilton in downtown Regina. Born in Northern B.C., Bill (originally named "Belfry") was orphaned by the age of seven and found himself in a residential school where he endured sexual abuse, physical abuse and emotional abuse. Over the years he would bounce around several communities in Western Canada before winding up in jail on multiple occasions. It was during his last stint in Corrections that he made the decision to walk down God's path, because everything else he'd tried hadn't worked. "The Bible says God is a Father to the fatherless," Adsit told the crowd. "That was me. And although I never really believed God was there for me while I was suffering in the residential school, I never forgot the idea that God is there for you when you need Him." So, like most who make that similar choice in life, Bill's life began to turn around for the better almost immediately. He didn't have his Grade 12 but he was accepted at Trinity Western College and later the University of Alberta. The rest, as they say, is history. Adsit went on to have a long career in the public service but is also a multimillionaire businessman who sits on the Board of BC Hydro. "Bill Adsit is a member of the Tahltan Nation and was the President and CEO from 2004 to 2013. He currently lives in Sherwood Park, Alberta and works in Dease Lake and Vancouver, British Columbia. He has a Bachelor of Commerce Degree from the University of Alberta. After serving 37 years in the Canadian Military, Transport Canada, Revenue Canada and Industry Canada, he retired in 2004." Adsit now travels the country speaking at Leader Impact events and to other groups. His speech had several powerful points, but was sprinkled with a few anecdotes which had the room in stitches. One of the key points of his 25-minute address was the advice "Don't be a victim of your circumstances. There's always help available out there to anyone who needs it." Looking at his thousand-dollar outfit on Tuesday, it was hard to believe Bill was orphaned with just the clothes on his back as a little boy. As they say, don't judge a book by its cover. I asked him afterwards if he's currently sober and he replied, "I still have the odd glass of wine now and again, but I haven't been drunk in years." Hey, whatever works. Obviously it's working for Bill Adsit.